The health and well-being of our members is a top priority. 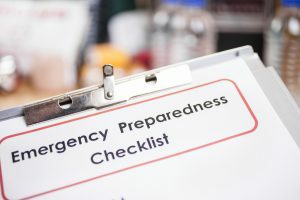 We understand the importance of communicating with our members during an event that interrupts business or, more importantly, is a local or regional emergency. If the governor of Louisiana, the U.S. secretary of the Department of Health and Human Services or the president of the United States declares a state of emergency for Louisiana, Peoples Health is obligated to maintain administration of plan benefits and coordination of care for our plan members. During a disaster or emergency, members may continue to contact Peoples Health by phone, fax and email, as well as through the Member Portal. 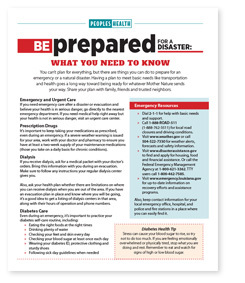 Peoples Health recommends that our members be as prepared as possible for any type of emergency by having a plan in place that addresses individual health and wellness needs. We encourage our plan members to refill any maintenance medications prior to the approach of a hurricane. Thirty-day supply refills of maintenance medications will be honored regardless of when they were last filled. Early refills do not apply to controlled substances such as pain pills and sleeping pills. In addition, early refills do not apply to medications not normally considered maintenance medications, such as antibiotics. Members still have to pay their cost-sharing for these prescriptions. In the event that evacuation is necessary, we will also cover prescriptions written by out-of-network physicians. Please note: Members must show their Peoples Health plan ID card to the pharmacist when filling or refilling prescriptions, even when they are are outside the Peoples Health service area due to an evacuation. Peoples Health plan ID cards are honored at more than 68,000 drugstores across the country, including most chain drugstores and many independent pharmacies. 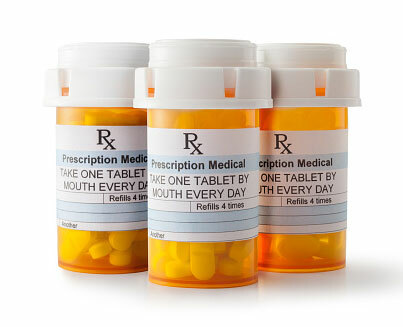 If a member fills a prescription at a local chain drugstore, it can be transferred to the chain drugstore in another location.